Our Volkswagen dealership is here for you with whatever you need. If you’re interested in one of our new Volkswagen models for sale, such as the VW Jetta and the VW Passat, we encourage our North Haven and New Haven drivers to stop by our lot and go for a test drive. These vehicles are shiny, new, and ready to go. If you are thinking about purchasing one of our used Volkswagen models for sale, then we have a selection that you simply cannot ignore. Browse through it online, or stop by in person and prepare to be impressed. Our knowledgeable staff will be here to help you navigate through every vehicle. If you are already a Volkswagen owner and enthusiast, then let us hook you up with all the VW gear and accessories that you need to show your love of the brand. Of course, we can also perform service on your Volkswagen. Everything from oil changes to major engine and transmission repairs are well within our abilities. 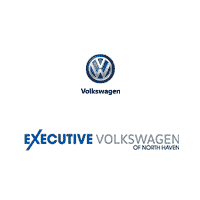 When it comes to VW, it’s safe to say Executive Volkswagen of North Haven has what you need. We proudly serve all of Connecticut, including North Haven, New Haven, and Wallingford areas.